We believe that no child should grow up alone. Every child should live in a stable and caring family where he or she is safe and protected. That's why we build and strengthen families in 135 countries and territories around the world. Families come in all shapes and sizes, and for nearly seventy years SOS Children's Villages has been providing and supporting a wide range of alternative care settings for children who have lost the care of their parents. Additionally, to prevent the separation of children from their parents or other relatives in the first place, we work to strengthen families so they can provide quality care and meet their children's needs. On International Day of Families, we celebrate the variety of families we are working with around the globe. Read on to learn about some of the families we support. Rakan is 26 years old today. He grew up at the SOS Children's Village in Bethlehem, Palestine. His childhood was not always easy and at first, he struggled to adjust to his new environment in his SOS family. He also struggled in school. 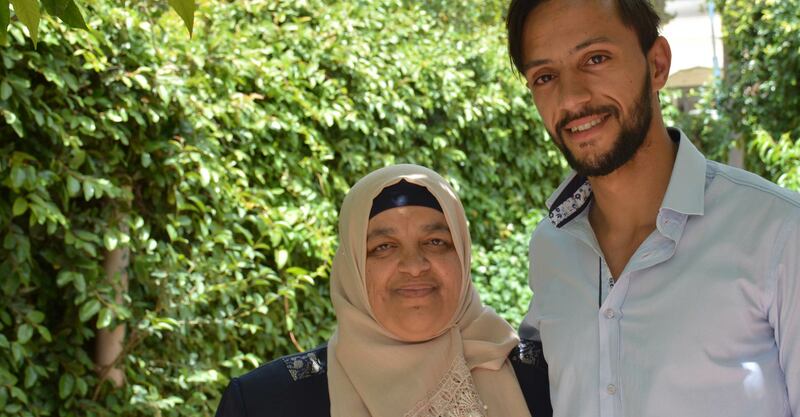 But when SOS mother Fatimah started taking care of him, he began to change. "She was more than a mother, she was an angel. She knew everything I needed in my life. In the end, I can say that growing up in an SOS family is the greatest thing that happened to me in my life. The SOS family provided me with a very high quality of life, education and a caring mother. SOS Children's Villages will give you almost all the things that you had lost in your life." 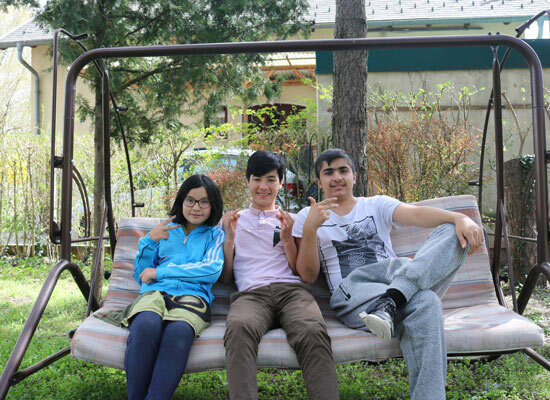 Nataliya and Andriy Basarab live in the SOS Children's Village Brovary, Ukraine. They are foster parents for five children. The Basarabs' family is one of thirteen in the SOS Children's Village. Each family is headed by state-licensed foster parents that can be either a single person or a couple like Nataliya and Andriy. The foster parents in SOS Children’s Village Brovary work together with a team of experts so they can be the best possible parents for the children in their care. Nataliya and Andriy say that it is the support of their team that helps them overcome challenges. "The experts make sure each foster parent gets the training and counselling they need. At any moment, you can turn to them for advice. For me as a foster mother these strong and reliable relationships are very important," says Nataliya. "When you're a foster parent, you face challenges every day. But you should never turn a blind eye. We always seek the help of experts like psychologists or pedagogues. Only with help and constant learning can you become a better person and a better parent," says Andriy. In Ebreichsdorf, Austria, a group of children aged between nine and 18 from Syria and Afghanistan are living together. They are unaccompanied refugee minors who arrived in the country without their parents or caregivers. A committed multicultural team of six SOS co-workers supports them in their everyday life. “These children are here because they fled their own countries for various reasons. They came here, so they can live in peace and safety, enjoy an education and develop in a way that wasn’t possible in their home countries. Ayomide and her children lived in two small rooms in their village near Gwagwalada, a suburban district of Nigeria’s capital, Abuja. 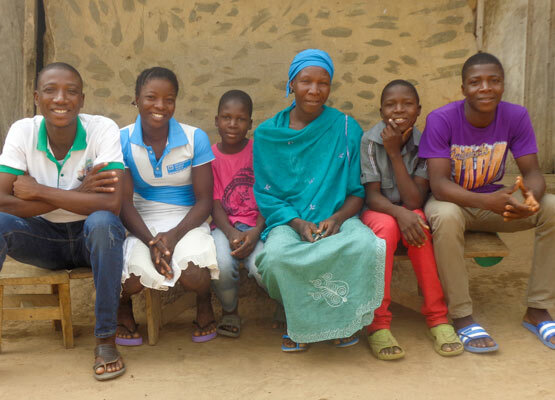 After Ayomide’s husband died in 2007, she struggled to make ends meet and provide for her five children. With family strengthening support, she has been able to build a more stable home and future for her children. With the SOS team’s assistance, Ayomide got access to a community-based savings and loans group, training in basic book-keeping and entrepreneurship, as well as support with supplies for her income-generating project. Additionally, the family received counselling, childcare, parenting and life skills training. "These efforts helped me and my children to cope emotionally and strengthened our determination to succeed in life. I learnt about the importance of hygiene for myself and my family and the importance of their education," says Ayomide. Today, Ayomide earns an income from her farm and works as a poultry keeper. Their housing situation has improved. Her children have the opportunity to pursue an education. Her oldest son has graduated from the University of Abuja and her only daughter started training to become a tailor. Seeking a way to help the hundreds of children who had lost their parents after a massive earthquake in Nepal in April 2015, SOS Children’s Villages Nepal started a kinship care programme – a form of alternative care where a child lives with a member of their extended family. The kinship programme started in September 2015 and supports extended families by covering the costs for food, education, health care and clothing. Since the earthquake, nearly 350 children who lost the care of their parents have been helped through kinship care. The financial support typically lasts for a number of years until the family can care for the child on their own.